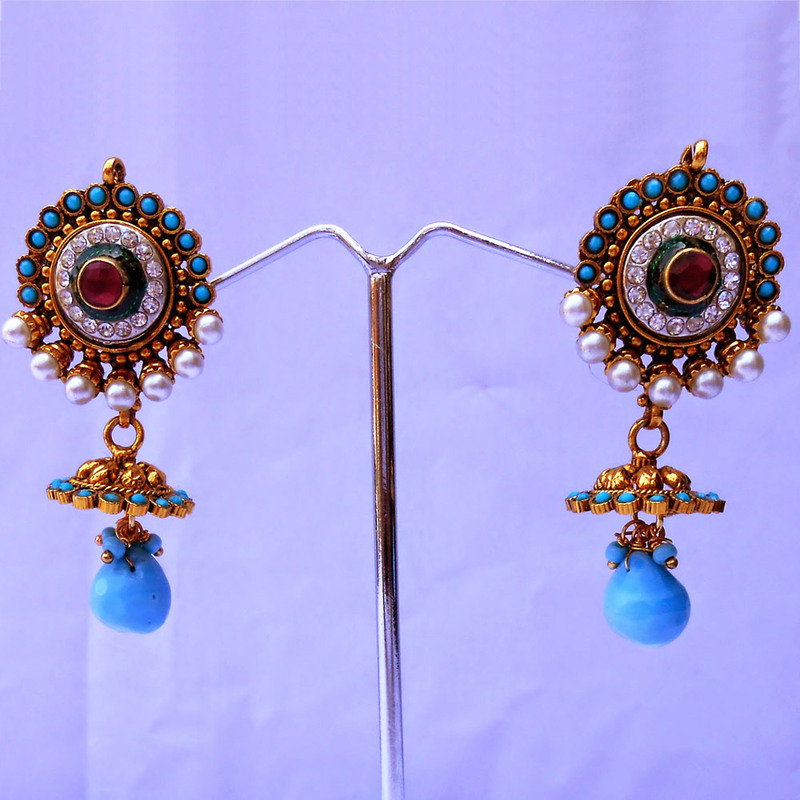 The bright turquoise stones studding the gold plated brass casing of the stub on this pair of turquoise hanging earrings adds brilliant contrast to the Read More..large red stone set in the middle and the row of smaller white stones forming a circle between these two. The white beads add further character to the earrings, while the antique polish really turns on the appeal of the jhumka segment. Therefore, this pair of earrings is sure to look pretty on just about anyone and make the wearers feel at the top of the world. Show Less..